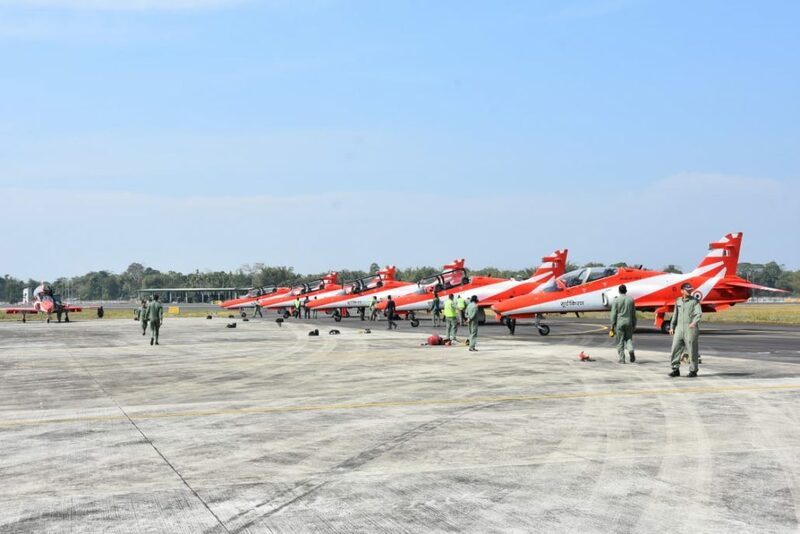 The 43 Squadron of the Indian Air Force (IAF), also called the ‘Ibexes’ is celebrating its diamond jubilee this year. The transport squadron is presently based at Air Force Station Jorhat in eastern Assam. The squadron from its inception has actively participated in various operations including those for disaster and human relief and has earned a number of honours. The anniversary celebrations thus rightly culminated with squadron honouring its air veterans. 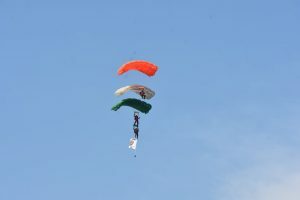 The event was presided over by the Chief of the Air Staff, Air Chief Marshal B S Dhanoa. 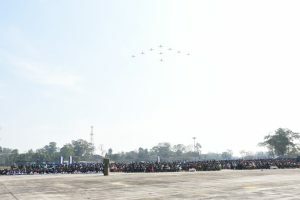 Other dignitaries present during the ceremony were Air Officer Commanding- in- Chief Eastern Air Command, Air Marshal R Nambiar, Air Officer Commanding Air Force Station Jorhat Air Commodore S K Verma and Maj Gen Harinder Singh, General Officer Commanding 41 Sub-area along with a host of other dignitaries. 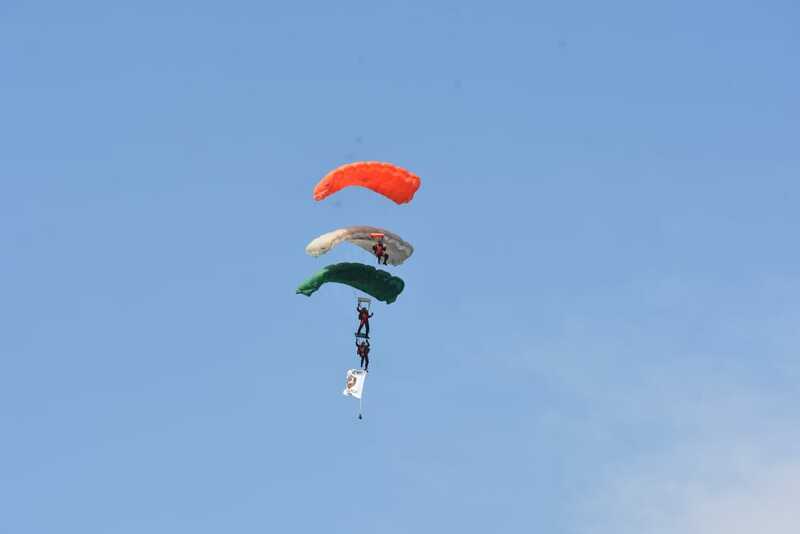 A spectacular display of the Surya Kiran Aerobatic team and Sky Diving by Air Devils team enthralled the gathering. The Chief of the Air Staff in his address acknowledged that the squadron has been successfully accomplishing the operational tasks assigned with highest efficiency. He exhorted all the personnel to maintain high professional standards in future endeavors also. Air Marshal R Nambiar appreciated the efforts of Group Captain T G Singh, Commanding Officer of the squadron and his team for organizing the celebrations successfully. Earlier, over a period, various events were also conducted as part of the celebrations. These included mini marathon, ‘Barakhana’ for all the personnel and families of the squadron and a seminar on ‘Conduct of Air Transport Operations in North East’.